I don’t write about politics, because I find that most political discussions produce lots of heat but very little light. However, I have decided to discuss a political “experiment” that I recently learned about because I think it relates to science. In addition, it is about a play, and since I am an amateur actor and playwright, I couldn’t resist. However, I have to warn you up front that I will mercilessly delete any comments that try to turn this into a political discussion. It is not. It is a discussion about how people react to the information they are given. The intriguing political experiment was conceived by Dr. Maria Guadalupe, Associate Professor of Economics and Political Science at INSEAD an international business school. She wanted to know how people would react to the 2016 presidential debates if the genders of the two candidates were reversed. 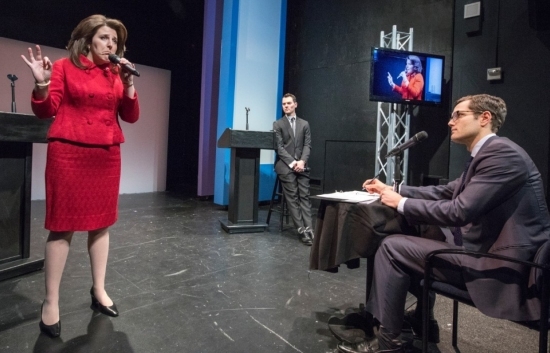 As a result, she decided to produce Her Opponent, a play that featured excerpts from the three presidential debates with the genders of the two candidates reversed. A male actor portrayed former Secretary of State and Senator Jonathan Gordon, while a female actress played business tycoon Brenda King. Jonathan Gordon, of course, was the “male version” of Hillary Clinton, while Brenda King was the “female version” of Donald Trump. The actors delivered their lines verbatim from the debates, and they worked hard to use the same mannerisms, emotions, and vocal inflections as the candidates they were trying to represent. You can see a short excerpt from a rehearsal here. The audience members were given two surveys to fill out – one before seeing the play and one after seeing the play. As New York University reports, Dr. Guadalupe and her co-producer thought they knew what the results of the surveys would be. They thought that the audience would react very negatively to Brenda King, because they thought that the kinds of things Mr. Trump said in the debates would never be tolerated coming from a woman. In the same way, they thought the audience would react positively to Jonathan Gordon, because they thought that Hillary’s tone and statements would be given more weight if they came from a man. It turns out that their expectations were wrong. According to the surveys and the post-play discussions, those who admired Hillary Clinton did not hold the same admiration for Jonathan Gordon. In fact, one audience member found him to be “really punchable.” Similarly, those who did not like Donald Trump described Brenda King as an authority figure that you don’t really like but you know will take care of you. They also admired Brenda King’s debating technique. In then end, some who voted for one of the two candidates in the actual election said that they wouldn’t be able to bring themselves to vote for either of the two candidates from the play. Of course, the overall analysis of the experiment’s results is focused on gender. It seems that what was considered by some to be unacceptable when it was done by Donald Trump was considered acceptable when it came from Brenda King. In the same way, what some considered calm and reasoned when it came from Hillary Clinton was considered smug and arrogant when it came from Jonathan Gordon. That may very well be true. However, I took something quite different from the results of the experiment. In my mind, the experiment shows how the messenger can be more important than the message. In the end, we think we make our political decision based on the facts, but that might not be the case. Instead, we might make them based on how those facts have been communicated to us. From one source, the facts lead to one conclusion. From another source, those same facts might lead to a completely different conclusion. For some, the source might be the deciding factor. I think that’s how this political experiment relates to science. Science has a huge collection of facts, and some of them just aren’t consistent with one another. One set of facts supports an evolutionary view of origins. Another set of facts supports a creationist view of origins. How do we sort through these facts and decide which view is correct? While many of us like to think that it is because we have made the most reasonable analysis of the facts, I wonder how much it has to do with who delivered those facts to us? For example, I started my science education as an atheist. The more I learned about science, the more clear it became to me that the atheist position was not reasonable from a scientific point of view. I eventually ended up believing in a Creator God, and eventually in the God of the Bible. As I learned even more science, I ended up becoming convinced that the earth is young, so I ended up becoming a young-earth creationist. I personally think that I came to this position because I followed the data. However, I have heard from others who started their science education as young-earth creationists and ended up becoming atheists. They are similarly convinced that they came to their position because they followed the data. How is it that I ended up “following the data” to one conclusion, and they ended up “following the data” to a precisely opposite conclusion? I don’t have the answer, but I think that perhaps this experiment can shed some light on the issue. In the play, the audience members were presented with the same “data” that they learned from the actual presidential debates. Within the limits of what is possible, they were even presented with that data in a very similar way. However, the actual presenters were different. As a result, the way they ended up interpreting the data was different. I wonder how true that is in science as well. Is it possible that if I could replay my life and watch it unfold, I would find that at some point, the young-earth creationist position was articulated by a messenger who I really liked? I might not have agreed with him or her at the time, but the way he or she presented the position might have resonated with me to the point that I began to look at all data through that lens. Is that why the data ended up leading me to be a young-earth creationist? Is it possible that the young-earth creationist who became an atheist later on in life had a similar experience? Did some messenger of atheism affect the way he looked at the data? I don’t have answers to those questions. However, I think that this political “experiment” provides food for thought. Jay, it is interesting, but with the play participants, I think most real life voters were influenced along party lines long before any candidate. Either you were going to vote for the way things had been going, or you weren’t. That background wasn’t, and couldn’t be, a part of that play. Also, with regard to those who said they couldn’t vote for either play participant–that was how many, many people felt in real life. But when it came down to actually making the choice, they felt the responsibility of casting a vote, no matter how distasteful that vote might have been. Definitely an interesting study, considering the debate words and the original candidates. I always love reading your commentary, and this is probably the first time I’ve ever commented. Dr. Wile – In examining my own views – I’ve often thought that I have strong and decided opinions, and based on those, I find myself rationalizing certain political stances or supporting certain people. So, I look at this experiment in a similar fashion. The participants’ prejudices about the two candidates were “thrown off” by unfamiliar people, not knowing which side they’d normally take. Interesting that you look at it as the influence of the messenger. And that the experiment was about gender influence. 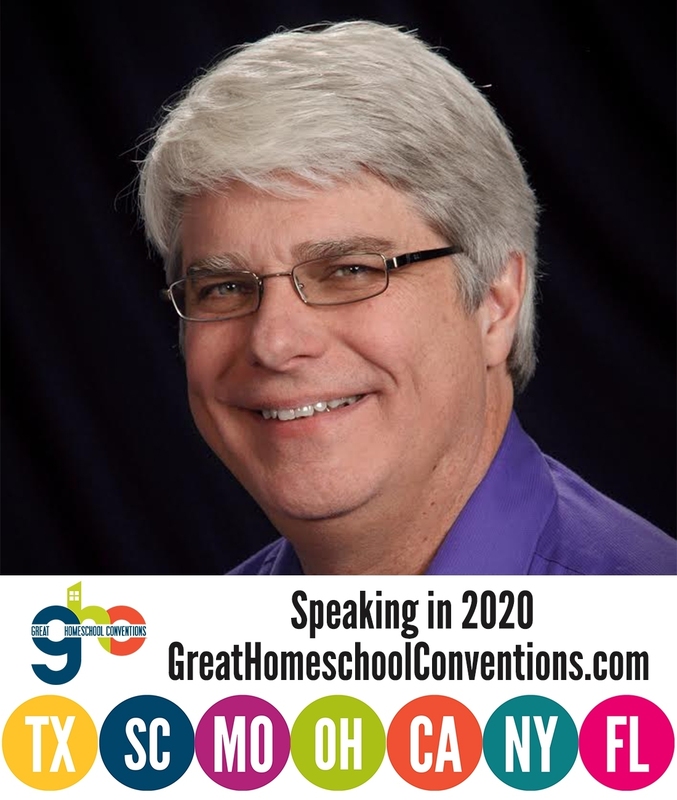 Dr. Wile – This question is a little off topic, but does relate to how our view of the spokesperson can affect how we evaluate the position itself: Before I came across your blog, my impression was that YEC was “confessional” science. By that I mean folks held the position only because they had to, because that’s what the Bible taught. This made the position less scientifically credible to me. And I know that I’m not the only one who has had this impression. I recently told a pastor friend of mine about you (a scientist who was a YEC for scientific reasons, not theological reasons) and he was shocked. He didn’t think anyone would be a YEC unless they thought it was theologically necessary. Do you think my impression was mostly accurate of the YEC movement or do you think most YEC scientists came to their position because of the scientific evidence? I realize it might be hard to know, but I would love to hear your impression. Do you know any other YEC scientists who hold their position exclusively or primarily for scientific reasons? I would love to work at their works more closely. What an excellent question. First, I would have to say that Dr. John Sanford holds the view mostly on scientific grounds. His book, Genetic Entropy and the Mystery of the Genome summarizes his view on the fact that humanity is very young. The one thing I would say is that it’s not just science or just Scripture. The way I see it, there are multiple orthodox interpretations, and we can use science to help choose from among them. I find the young-earth interpretation to be the most straightforward, but we don’t always take the most straightforward interpretation. However, since science also seems to agree with the young-earth interpretation, it makes the most sense to accept that interpretation. There are a number of scientists who hold to a young earth view for scientific reasons, but the reason they are rarely heard from is that the primary YEC organizations don’t like that idea – they are based mostly on the authority of scripture on the matter, and they view that being open to both options (even if you choose YEC) is somewhat contrary to their viewpoint. That is true, Jonathan. I have faced the wrath of many YECs for saying that YEC isn’t the only way to accept Scriptural authority. Chris Williams: Husband, Father, Actor, and Friend Microfossils? Maybe. Oldest? Who knows?